We dance Cotswold style, that’s the ones with hankies and sticks. It’s called Cotswold because that is the part of England where this style of dancing was developed. Morris, at least our version of it, is not a museum piece. 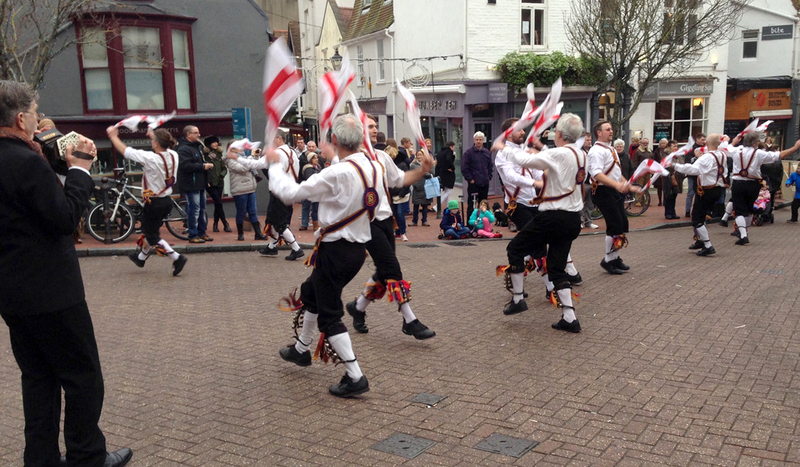 We are proud to have a series of dances written for us by one of our members, Glen Redman, in our own Lewes Tradition. Upton-upon Severn (we only do one from there. See if you can spot it). Jigs are dances for just one or two people accompanied by a solo musician. They give dancers the opportunity to showcase their skills, although we have yet to master the pinnacle of technical morris dancing, the Threpple Hammer Damson.